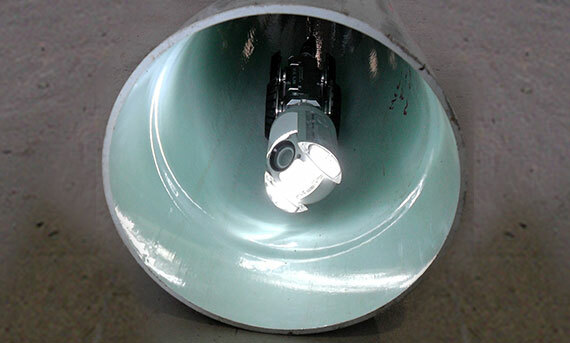 Using sophisticated, effective camera equipment Clearflo is able to investigate pipework to locate problematic sites, survey the damage, devise the best course of action, as well as monitor works being completed from start to finish. 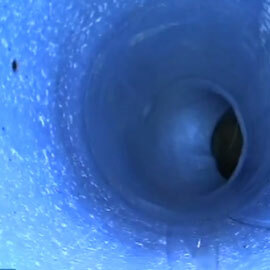 See what some of our past camera inspections have found in clients' pipework without the need for excavation or digging. 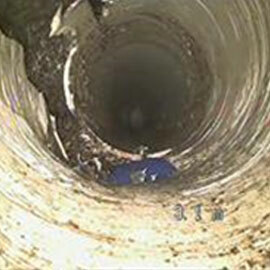 Using CCTV/Mainline track-to-camera technology, a serious crack was found in underground pipework at a job-site. Then, with our relining equipment, the crack was able to be mended with the host resin mold, thereby solving the problem without any further excavation. Our CCTV equipment is also used to inspect jobs once completed. Believe it or not this is the same pipe as the previous job after having a reline performed. What a difference!